show you something else today. aqua color is my favorite! Which color do you favor? they add a nice winter feeling to the mix. I don't want her to get sick if she eats one. I think it will become a winter staple for me each year. of a dark and chilly winter. i do like the teal shade, but the tan is sweet, too. really nice. Beautiful photos, love the colours. 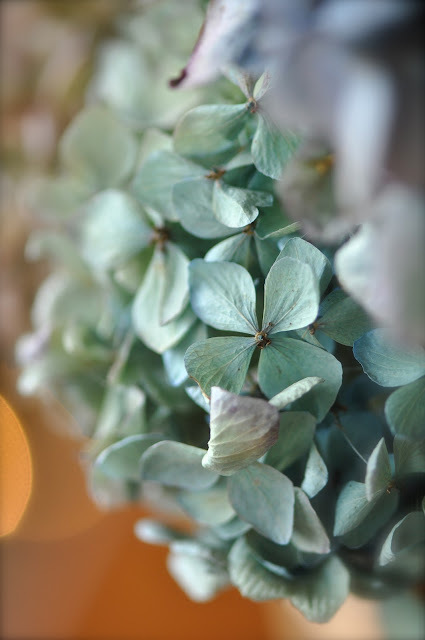 Oh how I adore hydrangea! I'm so glad you saved them and now can enjoy them all winter long. The bush that gives... how lovely. 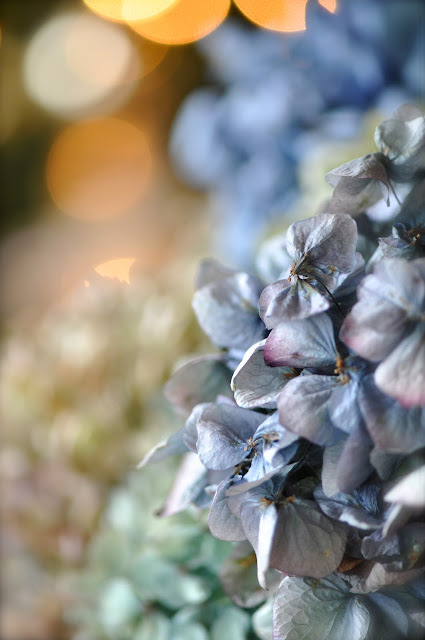 Me encantan las hortensias, hermosas imágenes! Un abrazo. 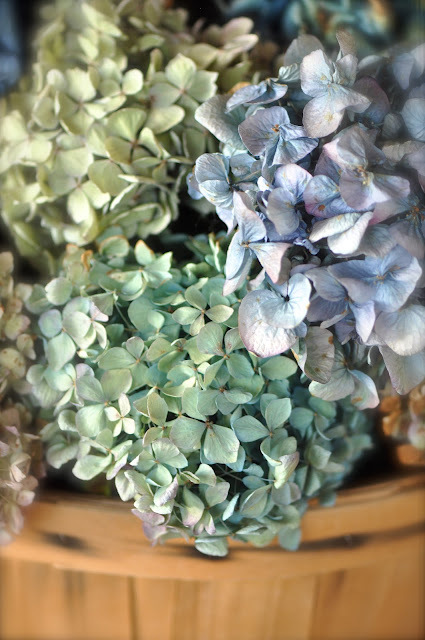 So pretty...I like the brownish ones the best. So pretty Becca! I think I like all those colors ~ they are so lovely together. They are all so pretty. I can just picture Lucy having a fun playing with your pretty flowers.. I had fun chatting with you the other day. This year I have a creamy white, with touches of green, and a burgundy reddish colored blooms saved. Yours are very beautiful, I love the mauve. Gorgeous colors, all of them! 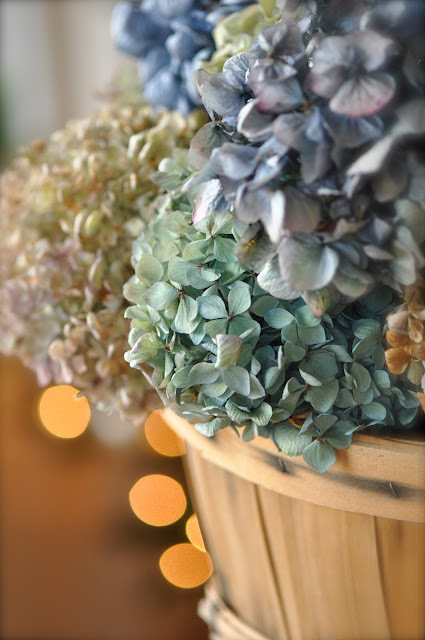 I had to chuckle as our dining table right now is filled to overflowing with jars of drying hydrangea blooms. I simply love them! I put them throughout the house for the winter months. Picking them is such a finicky skill. Even after many years, I don't have it down exactly. Beautiful! Is there a trick to drying hydrangea flowers? Do you just hang them upside-down? (Sorry if that's a basic question. I've never tried to dry any flowers...) But I did plant a Snowflake oakleaf hydrangea this autumn, so perhaps I can try preserving some of its flowers next year!